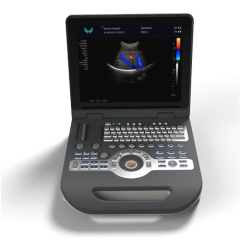 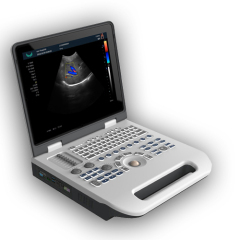 Notebook color doppler ultrasound diagnosis system.It is compact in appearance and powerful in function.It is suitable for the examination of abdomen, gynecology, obstetrics, urology department, small organs and blood vessels, especially for the clinical examination of basic medical institutions and family planning system.Is a high cost - effective instrument. 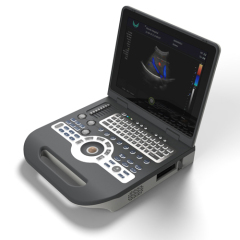 This color doppler ultrasound systemic applications include abdominal, obstetric, gynecological, cardiac, vascular, urinary, small organ, breast, etc. 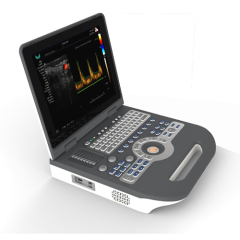 Group of Laptop Ultrasound Scanner System has been presented above, want more	Laptop Ultrasound Scanner System and Notebook Color Doppler Ultrasound Diagnositic Syste, Please Contact Us.